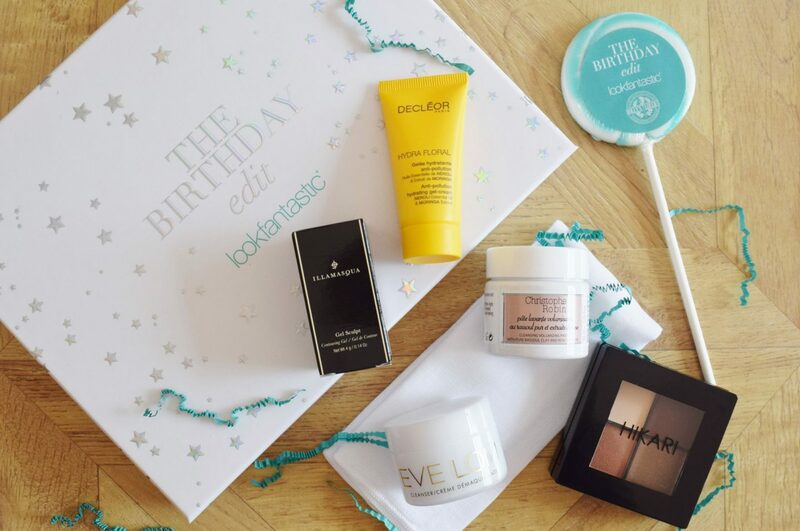 This month’s Look Fantastic Beauty Box is a special one, to celebrate the box’s 3rd birthday. It has a great line-up of makeup, skincare and hair care products inside, as well as an edible treat. The Look Fantastic Beauty Box* is a very reliable beauty subscription – 99% of the time, the boxes contain amazing products and are incredible value for money. This month’s is no exception. You can subscribe from as little as £13 per month. For this price you get the latest edition of Elle Magazine and 6 beauty products – worth over £50. You’ll love the items in this month’s box – The Birthday Edit. I want to start by saying that you are supposed to also get a unicorn-themed eye makeup brush in this month’s box, but mine did not contain one. This is a complete one-off – I’ve been getting the Look Fanastic Beauty Box for two years now and none of the products have ever been missing before. The tasty lollipop kind of soothed my pain. If you get this box, let me know how the brush performs as it looks stunning! Eve Lom is a pricey and much-coveted brand. If you’ve been thinking of trying it but haven’t wanted to fork out that much money before you know if you like it, this is the perfect chance to give it a go. 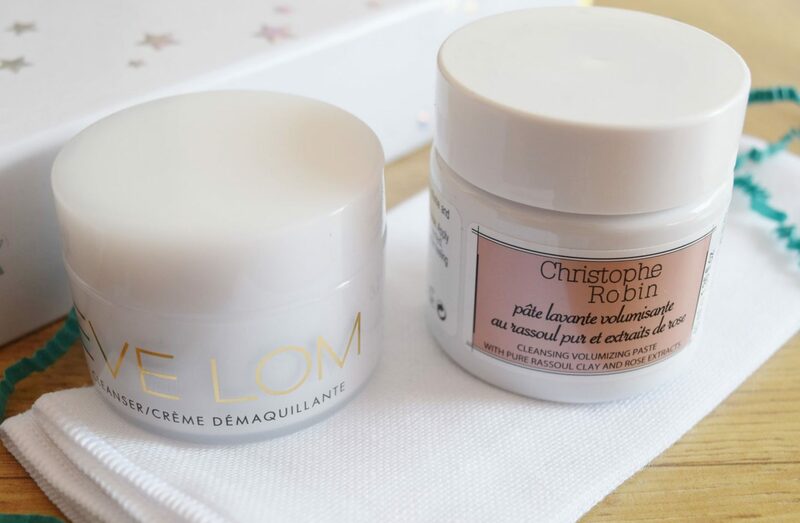 You get a good travel-sized pot of the classic Eve Lom Cleanser (full-size £55) and a muslin cloth to remove it with. I’m not keen on the scent of this (clove), but that’s just personal preference. This cleanser is adored across the world. There is also a travel-sized sample from another luxury skincare brand in this month’s box. 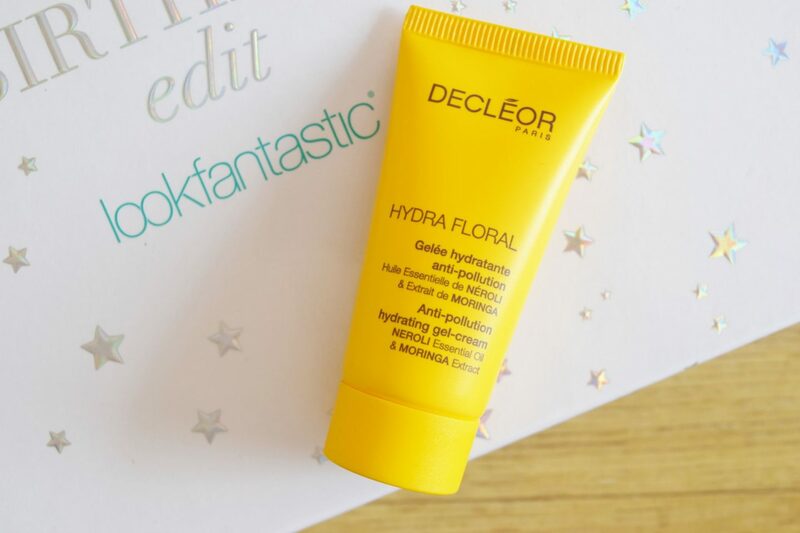 Decleor Hydra Floral Anti-Pollution Hydrating Gel-Cream (full-size £21.60) is a moisturiser that hydrates the skin and creates a protective barrier against environmental pollution. If you don’t like heavily scented products, you probably won’t like anything fron the Decleor range as they are packed with botanicals and essential oils. I think this smells amazing. There is also a high-end hair care product in the box, that will really nourish your tresses. The travel-sized Christophe Robin Cleansing Volumizing Paste (full-size £31.88) is a clay-based hair mask. It contains pure rassoul clay and rose extract to condition, add volume to your hair and to preserve your colour. I love the scent of rose and this smells so luxurious. 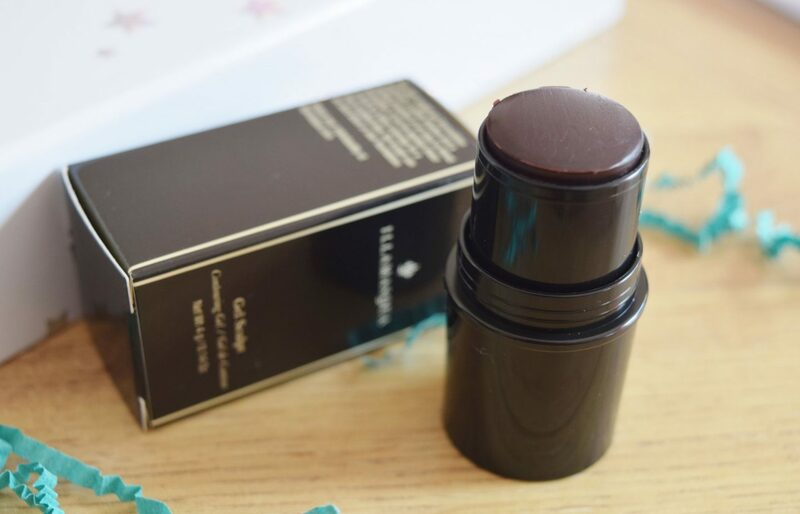 Onto makeup, there’s such a cute mini Illamasqua Gel Sculpt in Silhouette (full-size £25) looks very dark in the stick, but it’s actually a very sheer gel that blends out beautifully; making it suitable for even my extremely pale skin. It will leaves natural-looking shadows on your face to help sculpt it. I may even invest in the full-size of this. The final product in the box is a full-size eyeshadow quad from indie brand Hikari. Their Tonya palette contains two matte shades and two shimmer shades, and they are perfect colours for autumn. 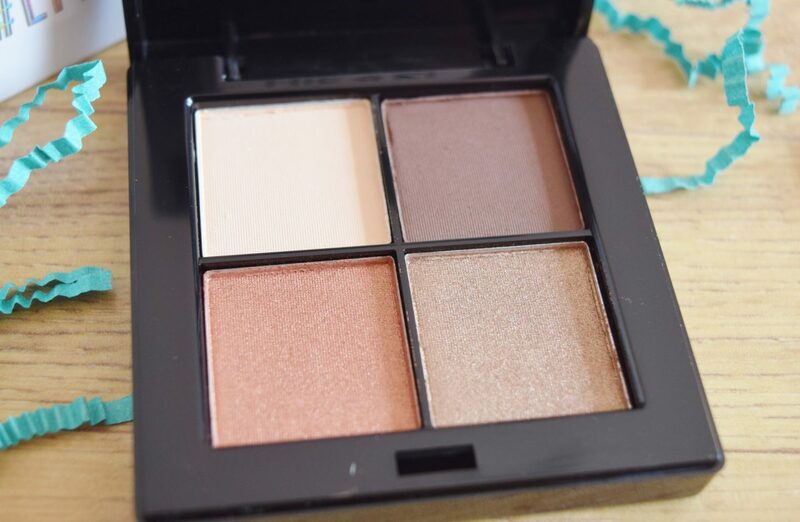 The shadows are decently pigmented and they blend well – it’s definitely a quality palette. If you want to receive this box, subscribe over at the Look Fantastic site now. You’ll then get fabulous monthly treats through your door.